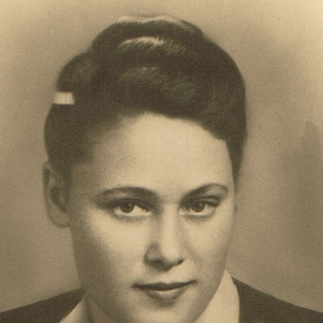 Born May 22, 1922 in Novogrudok, Belarus to Aaron Isser and Chaika, Irving (Itzchak) Resnik was one of five children; he had three younger brothers — Avrum, Yeshua, and Israel — and a sister Pessie. His father owned a butcher shop where Irving worked from a young age. In 1939, the Communists took control of Novogrudok and suddenly the quality of life deteriorated; under their rule, no one could leave. Just two years later in the fall of 1941, the German Army invaded and things got even worse. Immediately, they began their subjugation of the population and implemented their plan to eliminate Jews. Jews were forced to live in a ghetto; young and old men were sent to the forest to work and dig graves for the Jews of Novogrudok. Irving, just a young 18 years old at the time, knew he had to escape so he hid in a local farmer’s field. Later, that farmer had to break the news to Irving that his family had been killed. 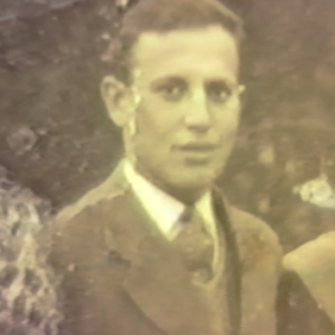 After Irving escaped, he and others who had escaped with him, heard about a group of underground Jewish fighters. This group of more than 1,000 people had also escaped from various towns and villages in the area and had become known as the Bielski Otriad or the Bielski Brigade. Irving fought and lived with them under the leadership of Tuvia Bielski and his brothers. As the Russian Army advanced westward, the Bielski Brigade aided the Russians in fighting the German Army. As the Russians kept making advancements toward Germany, many partisans, including Irving, were sent to the front lines. Irving quickly escaped from a train bound for the front and returned to Novogrudok. There he was arrested by the Russian Army for being Absent Without Official Leave (AWOL) and was sentenced to seven years in prison. Every day, Irving engaged in a life and death struggle to survive; he was placed in solitary confinement and regularly tortured. Desperation drove him to undertake a daring act—one day he placed some broken glass into his mouth and threatened to swallow it if he did not get a hearing with the leader of the work camp. Miraculously, he was released and made his journey back to Novogrudok. Upon his arrival, Irving found the city was in shambles. 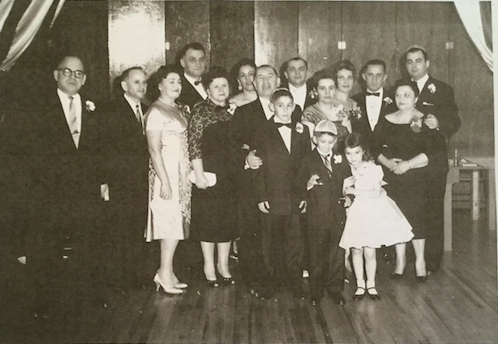 His entire family was dead but Irving was reunited with other survivors from the Bielski Brigade. Needing to work, he returned to what he knew best, buying and selling cattle. His trips to buy livestock took him to many places in the area. 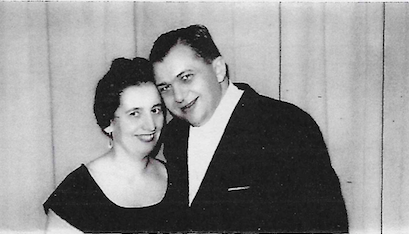 It was on one of these trips that Irving met Ruth Kaplow (Kaplowitz). They were married in 1945. In order to make money, Irving began smuggling Jews out of Russia to the West. 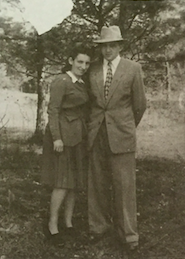 He was able to get Ruth to West Berlin, where she was housed safely with friends. Irving continued to work until he was caught and imprisoned by the Russians. When he got word that his son, Allie, was born, he attempted to escape, but was caught and returned to prison. Ruth was able to smuggle him some money, and when he and a friend were being moved by train to another prison, he asked the guards to have a drink with them. They agreed, and the group found a cafe, where the guards got drunk and Irving and his friend were able to escape. Irving headed to West Berlin, while his friend headed to Argentina. When the Berlin airlift began, Holocaust survivors were taken to the Feorenwald Displaced Persons Camp in West Germany. Irving, Ruth and Allie, waited for their papers to arrive from America or Canada. The Canadian papers arrived first and they headed to Newfoundland, where Ruth had family. Irving and Ruth worked hard and grew their retail business. They had two more children, Gary and Elaine. Sadly, Ruth passed away in 1962. 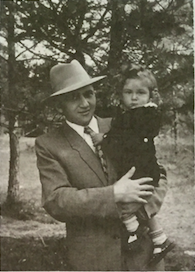 Irving moved to Montreal where he enjoyed his children, six wonderful grandchildren and four-great-grandchildren. He retired from business in 1995 and passed away in April 2000, leaving behind an incredible legacy.